Selling a condo is hard enough, but in a buyer’s market, it’s a challenge to distinguish yours from all the others out there, some even in the same building. And if you’ve already moved out? Oh, forget it! 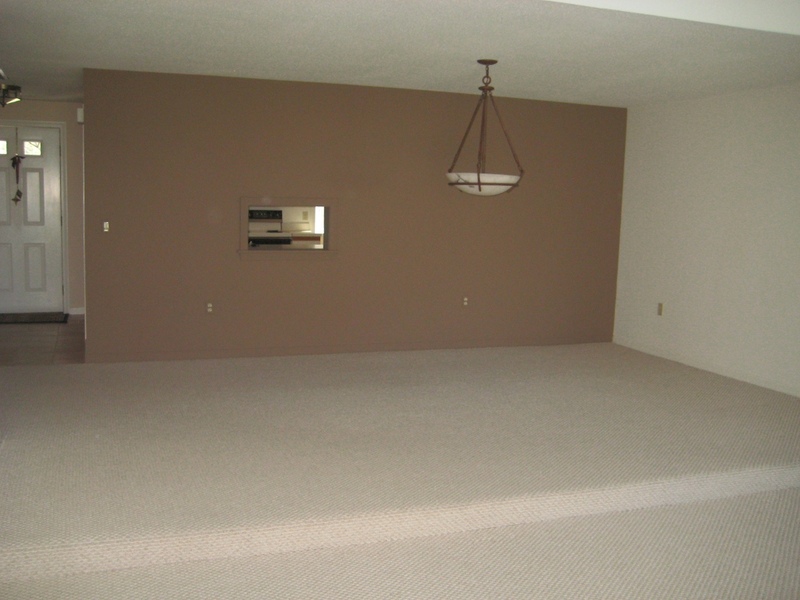 There’s nothing worse than a vacant unit where the fingerprints on the walls and the spots on the carpet become the selling features that buyers remember. If you are trying to sell your condo, here are three basic tips to get you started. This is not an exhaustive list of “to-do’s” for your space but if you do nothing else, do these. 1) Play up the saleable features. 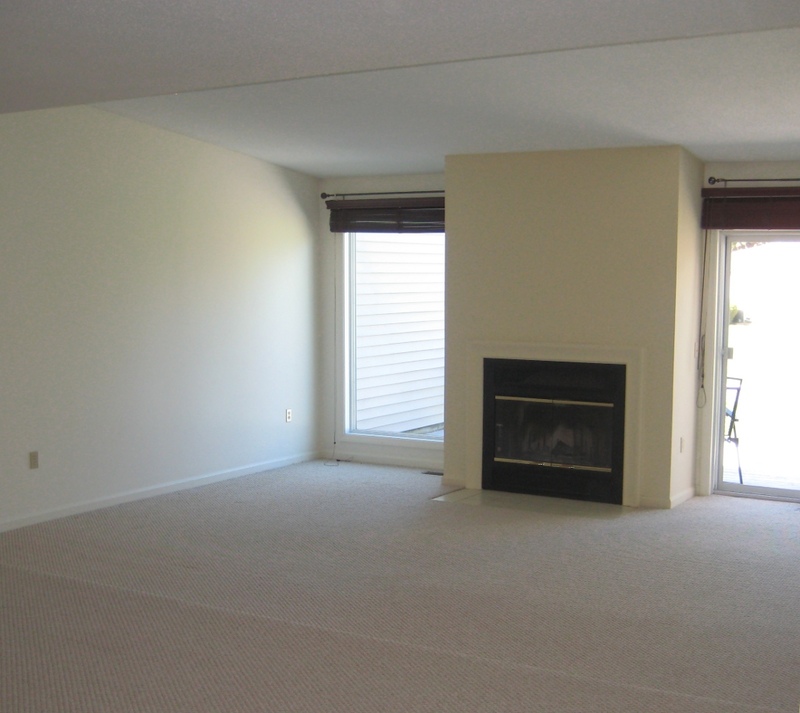 This condo has a fireplace and it happens to be the focal point of the room. But without drawing the buyer’s eye to it with art and chairs, the eye wanders from window to window and aimlessly around the vacuous space. 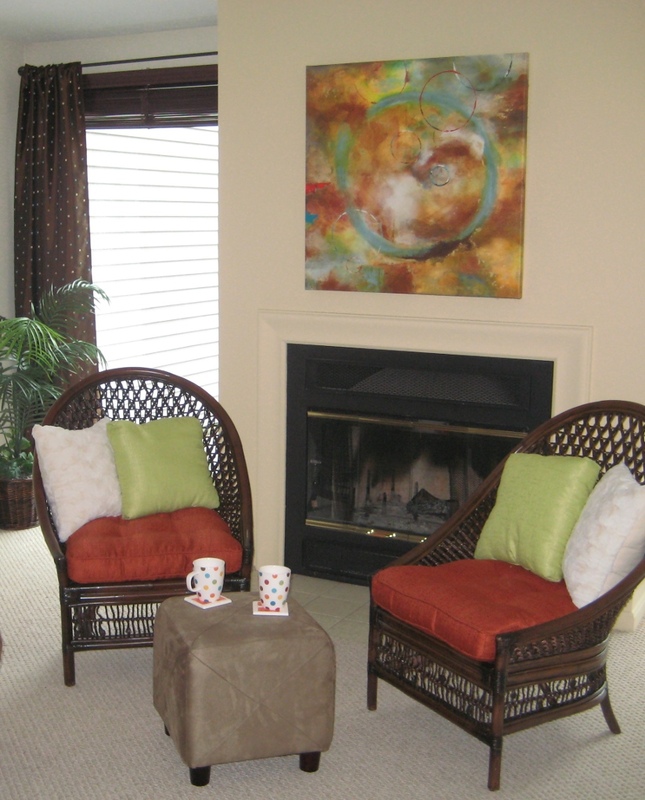 With a couple of chairs, an ottoman, a piece of art hung on the wall (with no nails), and some accessories to warm up the area, potential buyers can picture themselves sitting there reading a book and enjoying their home. And that’s what we want. 2) Pay attention to the kitchen. 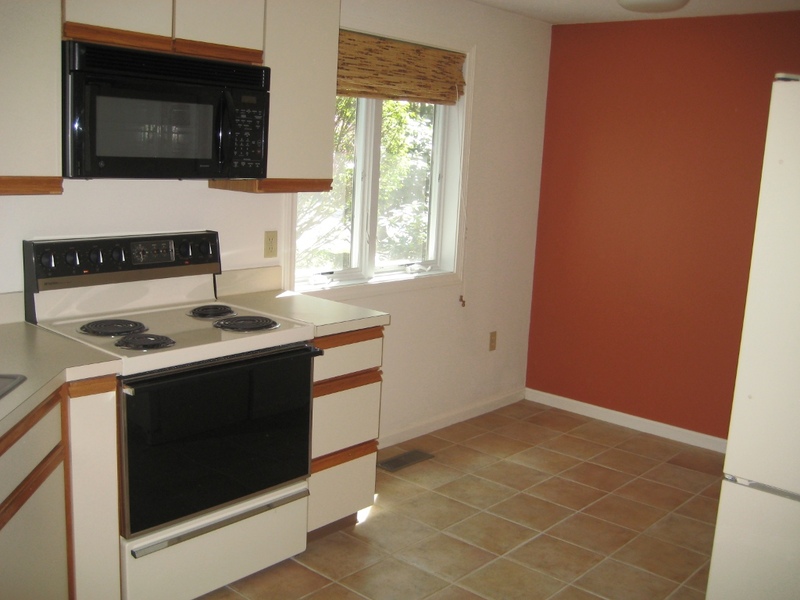 The sellers were unwilling to upgrade cabinets or countertops so we picked a warm wall color that would blend the old-style cabinets and formica countertop. Doing that took the focus off the dated features highlighted by the white walls and made the kitchen look bigger — a selling bonus. 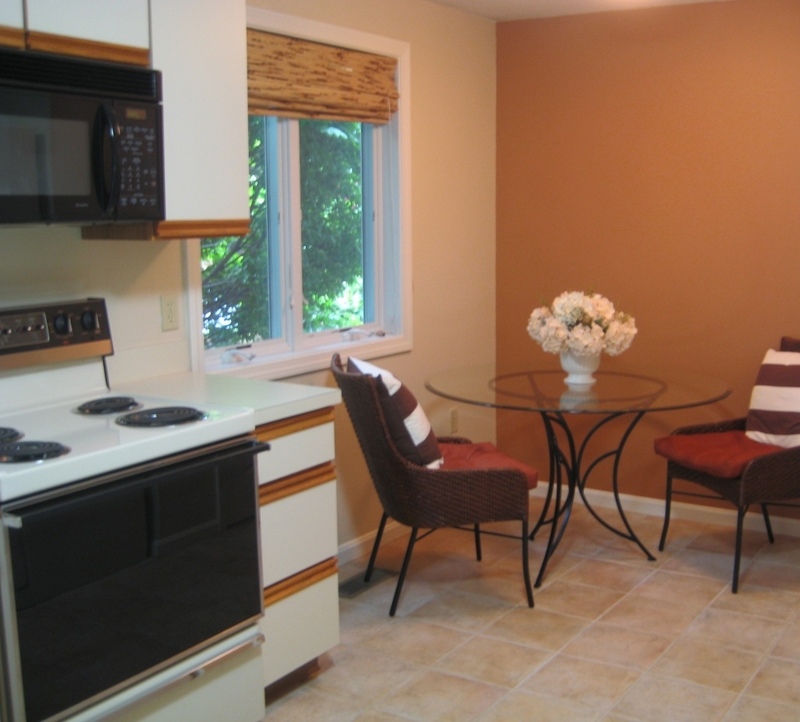 The sellers had also painted a burnt orange accent wall that would not appeal to all buyers so we toned that down to a warm cognac brown that coordinated with the woven shade in the window and the wood trim on the cabinets. With a table and two chairs, the kitchen turned into a move-in ready space, despite its vintage. 3) Define your living spaces. The only way to tell where the dining area was in this condo was the lonely light fixture hanging in the middle of the room. So we added a table and chairs and set the table with a contemporary color scheme that tied in with the art and furniture in the adjoining living room. The dining area was defined and set up for guests — again, allowing buyers to picture themselves entertaining in their new condo. Don’t leave your condo vacant and expect it to sell unless you live in a penthouse in Manhattan. Most cookie-cutter condos need some personality injected into them to attract serious buyers, but a little paint, a few pieces of furniture, and some well-placed accessories will help you create the atmosphere you’re trying to sell. 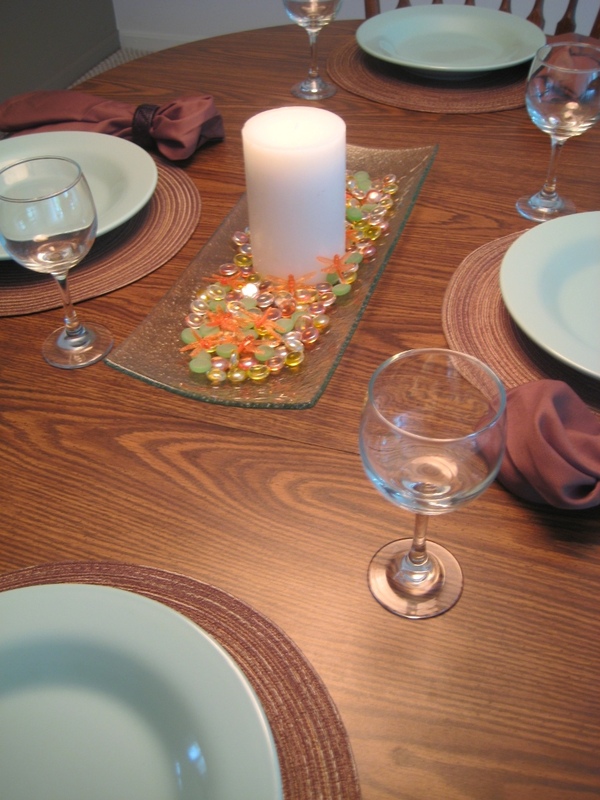 You are currently reading Three Tips for Staging your Empty Condo at Your Home & Color Coach.